Anita Dee strives to make every detail of your event as close to perfect as possible. When delicious baked goods or pastries are on your event wish list, you need look no further. 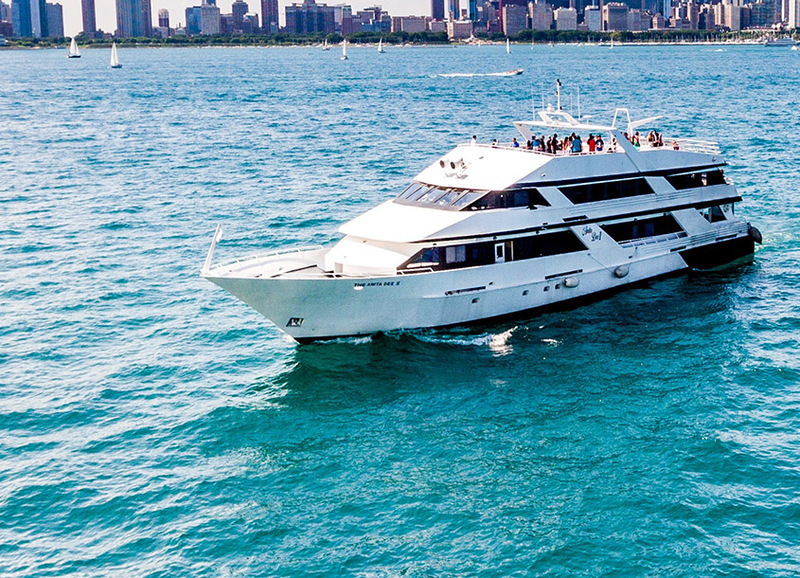 Contact one of Anita Dee Yacht Charters‘ preferred Chicago bakeries to help make your event complete. Each one of our bakeries was chosen based on their customer service, creativity, variety and flexibility and are ready to assist you with the utmost level of service and satisfaction. They have been on our vessels before and are aware of our rules and regulations with regard to drop off and set up. You may use a bakery not on this list but they must meet our liability insurance guidelines. Please as a sales associate for further details. Home-made cakes and candies are not permitted. Alliance Bakery offers memorable cakes for your special day. Our designers offer you over 20 years of experience and will help you design the cake of your dreams. From modern to traditional cakes, we can customize any style. Alliance Bakery is an Anita Dee Boat Charter preferred Chicago bakery.